The celebrated classics and modern essentials every foodie should own. Mastering the art of French cooking is no easy feat, yet with Childs’ seasoned approach – which includes over 524 inspired recipes, helpful illustrations, and simplified techniques – there are no shortage of mouthwatering possibilities for both accomplished cooks and beginners alike. From the acclaimed quarterly glossy, Kinfolk, comes a renowned collection of unique recipes, stripped of the extraneous in lieu of a more sensible approach and simplified aesthetic. Recipes, photos, and everything else in between. 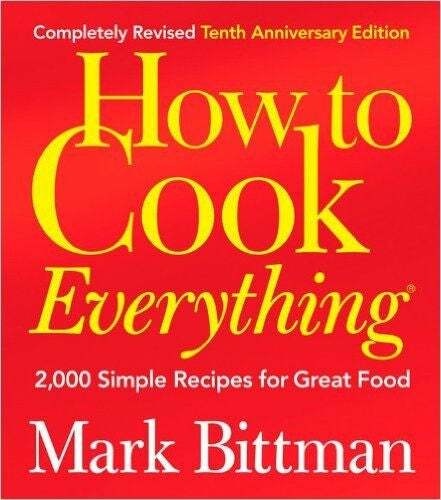 This trusted title has long been a staple in kitchens across America, featuring “Secrets to Success” to help with mastering each recipe. Ree Drummond’s down-to-earth approach to cooking is inspiring to say the least. From American classics to the heartland’s basics, consider this a kitchen essential. A curated compilation of time-tested recipes and helpful insights on unique flavor combinations from the culinary leaders of our time. With thousands of pages of tirelessly tested and conceivably perfected recipes, this extensive edition also includes an array of helpful tutorials and myriad variations of each culinary conquest. Obvious title aside, Garten’s latest book features a slew of delicious recipes to be made in advance, without compromising on taste. Dubbed as an authentic guide to Italian cooking, this classic title features a number of approachable recipes and valuable insights on technique. With over 120 veggie-friendly recipes, this title boasts a variety of innovative takes on classic dishes. A must-have for the vegetarian household. Regardless of the edition – new or passed down through generations – this collection of beloved recipes embodies the quintessence of classic cooking. From world-renowned baker Rose Levy Beranbaum comes an extensive set of celebrated recipes for a variety of crowd-pleasing baked goods and scrumptious pastries. Consider this collection of timeless recipes and instructional insights from world-renowned chef James Beard the standard book of reference no cook should be without. What promises to be a culinary journey through France’s Provincial district, David’s elegantly simple approach to classic French cuisine celebrates the essence of the infamous locale. This celebrated title boasts over 2,000 simplified recipes, focused on using the best ingredients minus the complicated equipment. From rustic cakes to gluten free scones comes a variety of delicious (and healthy!) recipes from the esteemed Santa Monica spot, Huckleberry Bakery & Café.